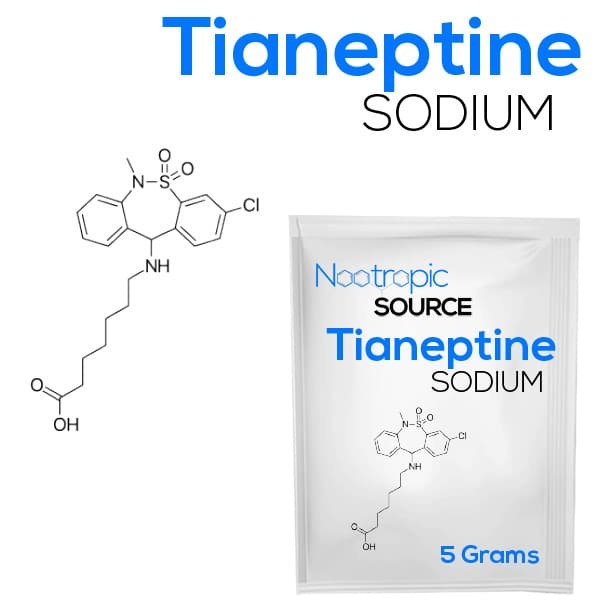 Recommended Storage: Tianeptine sodium powder is hygroscopic and absorbs air quickly, causing the powder to clump and harden. It is recommended to store it in a cool, dry place, sealed from outside air. We ship the product in a double sealed bag which can be resealed. Another container is recommended sealing from outside air. 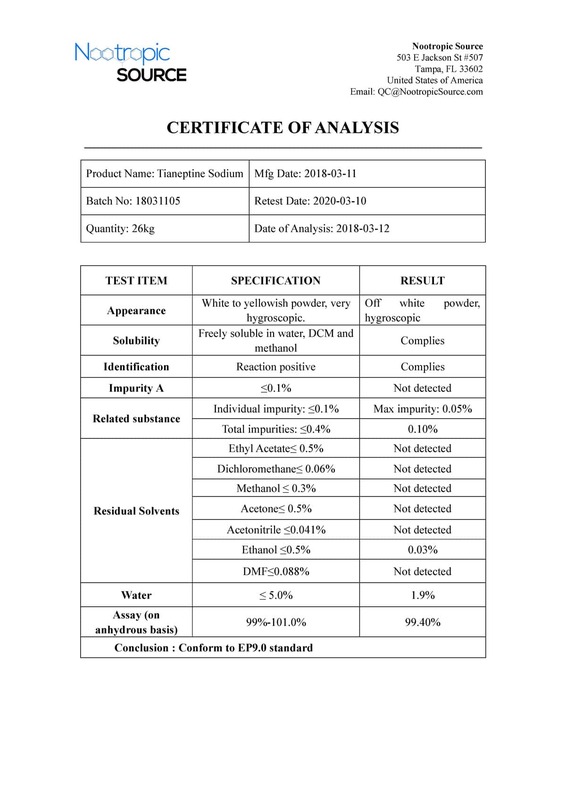 See also Sulfate or in our reliable solution form.